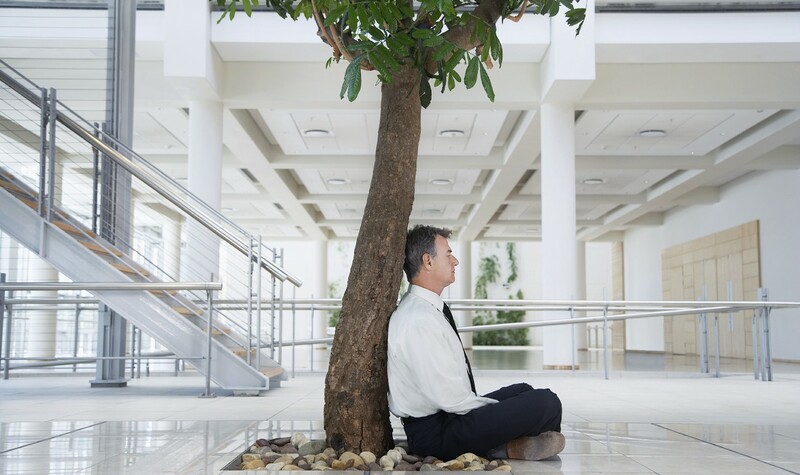 And how a meditation transformation helped him become a better leader. Positive: I discovered meditation years ago and I love it … I don’t miss a day! Neutral: I like it when I get the chance to do it … which usually isn’t all that often. Reactionary: Don’t try to sell me on any of that “new-agey” crap … I’m not buying! A year ago, my friend and client Justin Beadle was definitely on the reactionary end of that spectrum. A former Marine, Justin is the president of Links Construction, a $147M commercial construction company operating out of Denton, Texas. In early 2016, he attended one of my events to clarify his vision as a business leader, and to find ways of feeling more effective and fulfilled as the leader of a high-growth business. During that event we discussed the importance of awareness and mindfulness in becoming an enlightened leader, one who empowers those who follow them to reach their full potential. I even mentioned a technology I’d recently discovered that helped tremendously with my practice: the Muse™ headband. At the first mention of meditation, I could see by Justin’s body language that he wasn’t buying it. He sat back in his chair, arms folded as though he was only staying in the room to be polite. But as the event continued and I had the chance to speak with Justin about the benefits that not only I got from meditation, but the experiences other high-powered executives had found from meditation and a focus on breathing, especially during stressful meetings. He eventually seemed open, if skeptical, to the idea, so I didn’t press him on it. Following the event, I’d stayed in touch with Justin, watching as his business continued to grow on an aggressive trajectory. Links Construction was closing bigger deals than it had, and setting itself up for massive growth. So I was excited when Justin called and said that he and his vice president wanted to come to my new live event. This event was different from the previous one, focused on the systems and processes to create stable, high-growth companies that benefit all stakeholders. However, I’ve found the fastest way for entrepreneurs to build a company is for leadership to create greater awareness. When I brought up this topic, Justin decided to tell us all a story that he hadn’t shared before. For reference, this was after only a few months of Justin implementing meditation into his daily routine. In my experience, this kind of transformation is exceptional but not unique when leaders focus on the tactics of being present and aware. The funny thing is, these leaders — especially those at the highest levels — can be the most resistant to change and adopting meditation, but when they do start to meditate, they show the greatest amount of contrast.